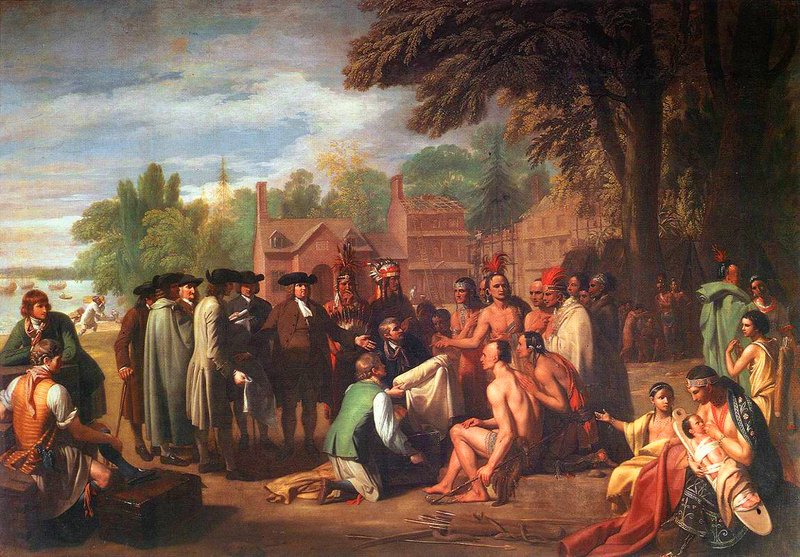 Benjamin West, The Treaty of Penn with the Indians (1772). Oil on canvas. Pennsylvania Academy of Fine Arts, Philadelphia. Wikicommons.